Linz, the European Capital of Culture and a UNESCO City of Media Arts, a triad of culture, nature and industry awaits visitors. The European Cultural Capital of 2009 and UNESCO City of Media Arts is genuinely unique: Linz is home to Europe‘s most modern opera house and a vibrant contemporary culture scene, as well as having a flourishing economy with leading international companies. The superbly-preserved Old Town isn’t the only place where the connection between this legendarily eco-friendly city and its long history is evident. Yet people in Linz prefer to look to the future – and find the joy of living in the here and now. Linz is an exciting city, and a successful one at that. 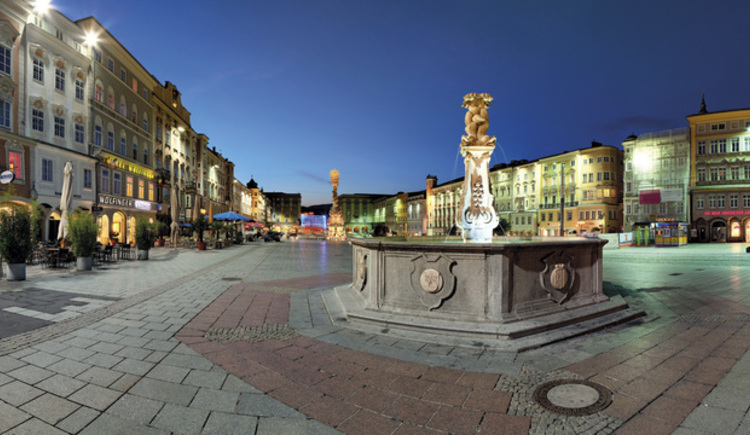 Its history has been long and eventful; the expanded city core is architecturally unique – especially its Baroque Hauptplatz or main square. However, in Linz one prefers not to harp endlessly on the past: far more attention is paid to the present and the future. The Blue Danube Airport is at the gates of the city, just 20 minutes away from the centre. Direct flights from Düsseldorf, Frankfurt, London, Salzburg and Vienna. The airport transfer bus no. 601 links the airport to the centre of Linz.